Newly released photos show Jeff Bezos and Lauren Sanchez looking loved up during dinner together in Los Angeles last year. The photos, which were taken on October 30, show Bezos and Sanchez staring intently to each other's eyes and laughing together. The party of four took a 'discreet corner table' near the kitchen of the pricey Italian restaurant, staying for three hours. 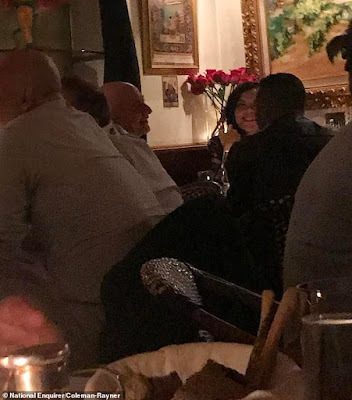 But their table selection was as subtle as Sanchez and Bezos got as they took seats next to each other and reportedly paid little attention to their companions. 'They seemed to be in their own world,' the source told the National Enquirer. The source said Bezos was close to Sanchez 'from the beginning, laughing and joking and whispering to her'. 'She was gazing into his eyes throughout the first part of the evening as they sat next to each other,' they added. The pair reportedly spent the night gazing into each other's eyes and 'tenderly touched each other'. They were seen stroking and brushing each other's shoulders and Sanchez even rested her hand on Bezos' knee under the table, the source claimed. 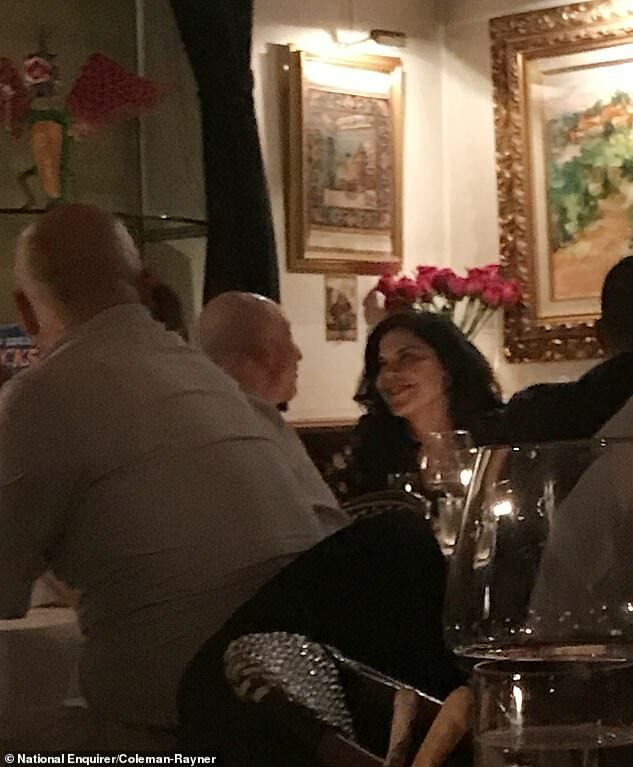 When Sanchez swapped seats with the female companion, who had been sitting across from her, Bezos 'moved his chair to be even closer to Lauren', they added. 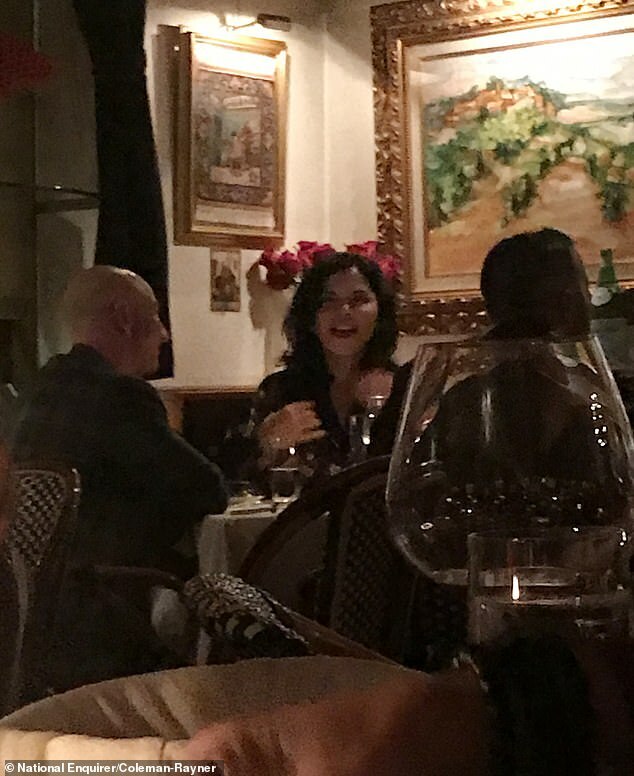 The foursome left the restaurant at 10pm, but the party apparently wasn't over for Bezos and Sanchez. Sanchez was seen leaving Bezos' Los Angeles mansion at 10am the next morning, according to the source.